Calvin C. S. Yap | WHGC, P.L.C. Mr. Calvin Yap is an Of Counsel of WHGC. 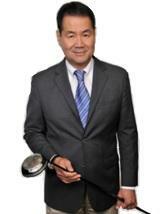 Mr. Yap practices real property law, financing and secured transactions. His experience ranges from representation of small family owned businesses to international publicly traded companies. Mr. Yap's representative transactions include the purchase and sale of on-going businesses and commercial properties; establishment of distributorship and licensing arrangements; mixed collateral and judicial foreclosures; corporate and financial restructurings; mergers and acquisitions for various industry sectors; seller financed transactions; and Uniform Commercial Code matters. He is well versed in both interstate and international transactions. Mr. Yap's clients include foreign-based companies seeking to establish a presence in the United States.